Caitlyn Silvas began dancing at the age of 2 and grew up training all genres of dance including ballet, jazz, lyrical, contemporary, tap, and hip-hop. When she turned 9 years old she realized her true love classical ballet and began to focus on training intensely for a professional career. Caitlyn’s year round training was provided by some of the leading ballet schools in Southern California and her technique and artistry was cultivated mainly by Terri Russell, Lori-Michelle & Ben Houk, Dana Nelson, and Jose Chavez. Along with serious instruction during the year her training was supplemented by summer intensives with world renowned schools and companies such as American Ballet Theater, Pacific Northwest Ballet, Ballet West, and Pittsburgh Ballet Theater. 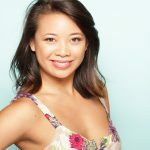 Caitlyn began her career dancing with professional ballet companies at the age of 17 and has danced for the professional companies City Ballet of San Diego, State Street Ballet, California Ballet and the PGK Dance Project. Since she has been 16 years old Caitlyn has taught ballet, pointe, stretch, and conditioning to all levels of dancers and guiding them to be the best dancers they can possibly be. 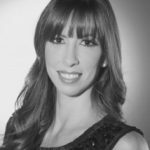 She has taught for several studios throughout the Southern California region including Santa Barbara Dance Arts, Dance unlimited, The Element Dance Center, Academy of Ballet Arts and currently Prestige Dance Company and Danceology. Teaching the next generation of dancers is something she is extremely passionate about and is so happy to help students grow in their technique, artistry, and love for dance!